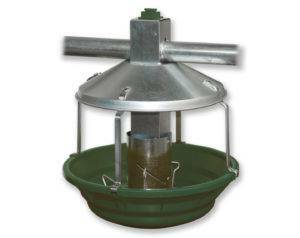 The PTF turkey pan feeder is designed for optimal eating comfort. It reduces bird injuries and improves meat quality by ensuring birds always have access to just the right amount of food. 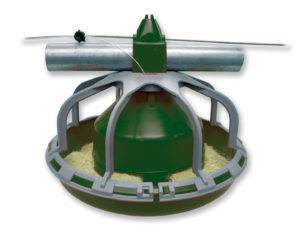 The PXP Turkey Starter Feeder has 8 feeding positions to make sure your poults are getting the right amount of food at every stage of growout.